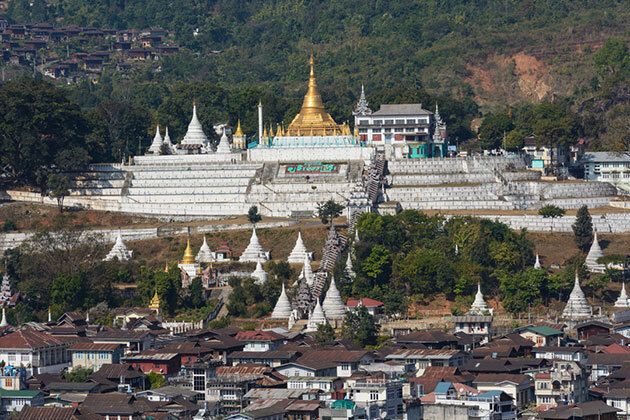 Escape to a land of the lush jungle staying in the heart of Myanmar, Mogok is widely-known as the citadel of ruby. 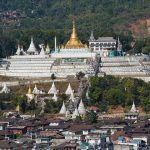 This suggested Mandalay tour to Mogok delivers you a chance to explore the treasure hidden behind the forest. With the beautiful pagodas, lively markets, as well as twinkle gems and jewelry, are rolled into one to deliver you an unforgettable experience in the Land of Golden Temple. Mingalaba! Welcome to the hidden treasure of Myanmar. This morning, board a domestic flight from Yangon to Mandalay. Upon arrival at Mandalay, get on a private car with our local tour guide to reach Mogok. The rest of the day is free. Be an early bird today to explore the hidden treasure of Mogok with the visit to Aung Chan Thar Market and Htarpwe (the place where selling the stones ). Next, proceed to Paungdaw Oo pagoda and Padamyar pagoda. power up your afternoon sightseeing with a scrumptious lunch at a local restaurant before heading to goldsmith and gem souvenir shops. Later, waiting for the impressive sunset moment at Thar Gyi pagoda. Return to your hotel in the evening for overnight. This morning begins with a visit to Kyauk Pyat That Village and pagoda then gaze out at the Daw Nam Kyi Mountain. Lunch will be served at a local restaurant after you visit the outstanding pagodas. Later, return to the hotel for overnight.